Boilers will always lose some degree of the heat generated through the chimney, but minimising this loss and making more efficient use of the energy conversion can reduce both costs and carbon emissions. One of the most cost effective solutions uses this waste heat to increase the temperature of the boiler feed water, thereby reducing the amount of energy required to bring the water up to operating temperature. Flue gas economisers are positioned between the boiler and the chimney and transfer the heat of the exhaust gas to the boiler feed water which flows through finned tubes. The efficiency of this heat transfer depends on the design of the tubes and the flowrate of the water. As businesses look to minimise overheads and also improve their environmental credentials, installing a retro-fit economiser on an existing boiler circuit can deliver a major step in the right direction. Furthermore, a system that has been correctly designed and installed can often recover the initial costs within 18 months. In order to achieve the greatest benefit from these systems it is essential to work with an dexperienced manufacturer that can create bespoke designs that take into account the characteristics of a particular application. 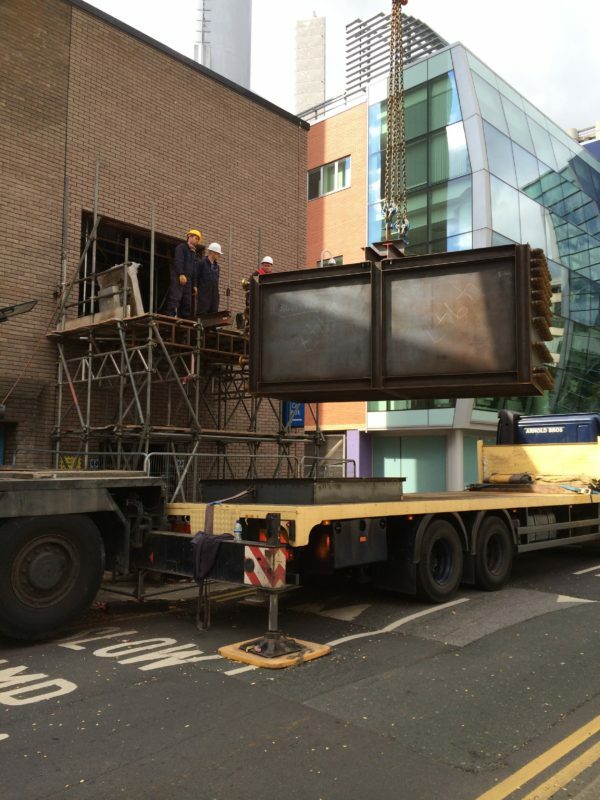 ThermTech replace an old unit with a new economiser at Leeds University Hospital. There are many examples of installations where the project costs have been recovered very quickly through savings in energy bills. Typically, savings of between 4% and 6% in fuel expenditure can be achieved while maintaining the same boiler output. For large businesses or facilities such as hospitals and factories, annual savings in excess of £100,000 are common. In fact, as greater savings are being sought in the health sector, the investment in retro-fit economisers is proving to be a prudent one. Often built with multiple boilers, hospitals have found that the installation process can be achieved without affecting the heating services within the facility. Of course, this takes careful planning and execution of the project, but an experienced manufacturer and installer should be able to achieve this. Once an economiser is installed, annual inspections should be carried out to check the efficiency of the process and to ensure continued reliability. ThermTech offers a 10 year warranty that will provide peace of mind and ensure that the installation continues to deliver savings for the customer.